Wesson Harington N° 2 .22 calibre revolver. First type with iron frame. 7 shot. 5 groove bore. Later ones only have three. Markings on left side of barrel. Original rosewood grips. The elector rod swivels to the right. Nice system. 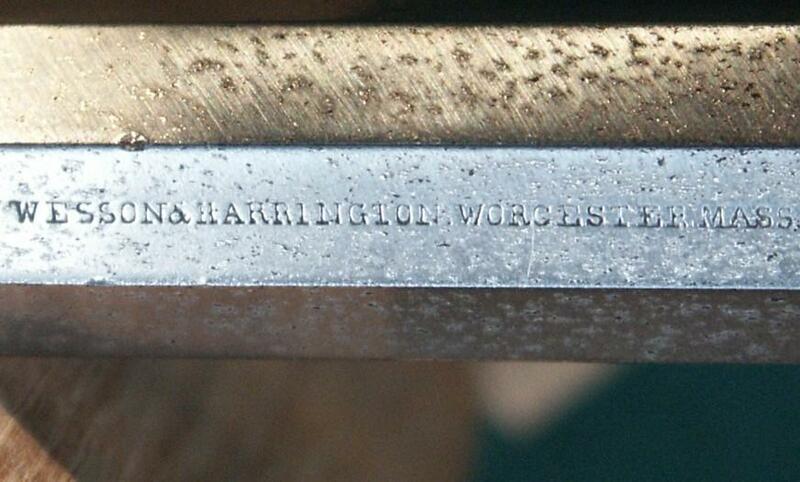 Wesson Harrington revolver in ultra rare 41 rimfire caliber. Distinguished features of this model are the contoured ejector rod which slopes upward into the cylinderpin. This device swivels 90 degrees to the right and is just as ejector. Usually found in calibre 32, sometimes in 38 but almost never seen in 41. Of the 38 and 41 together about 500 were built but most of that was in the 38 calibre. Probably less then 100 ever made.